If you are desperately searching for quick relief of swollen and itchy eyelids you are in the right spot. The products featured below are all relatively affordable, easy to obtain, and effective at treating your eyelids. Most of them contain all natural ingredients and are made in the USA. Harmful chemicals that many of us want to avoid are often used in skincare products or medications. This is definitely causing the increasing demand for all-natural products. 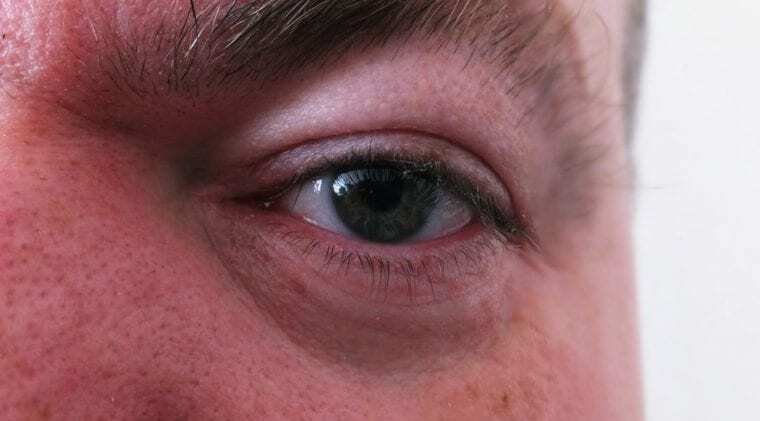 Swollen and itchy eyelids can be caused by a variety of skin conditions or irritants. Swollen and itchy eyelids can also be a result of our technology filled world. Your eyes can become fatigued or irritated from regular use of digital technology. The products below are designed to remedy a wide variety of symptoms or conditions. Some can even improve sleep and provide relaxation. Many of the products featured below include coconut oil and/or tea tree oil. Keep reading to learn more about the benefits of these natural ingredients. Coconut oil is a trending natural product that is commonly known for its health-promoting properties. When oil is extracted from raw coconuts, or dried coconut kernels, you get the highly saturated oil known as coconut oil. Makes sense right? What Benefits Can Coconut Oil Provide? Studies have proven that coconut oil can provide benefits and improve the health of your skin. Raw coconut oil can be used on the face or around the eyes. You should avoid direct contact with your eyes. Coconut oil can work to prevent the growth of harmful microorganisms that might be causing skin infections. #2. Are your eyelids swollen? Coconut oil can reduce inflammation. Skin conditions such as eczema, contact dermatitis, and psoriasis can result in chronic inflammation. Coconut oil is a natural product that has been tested positive for containing anti-inflammatory properties. It can also improve antioxidant status resulting in relief of inflammation. If you are trying to remedy dry or itchy skin, coconut oil can provide relief. Coconut oil is a popular remedy for Eczema. Eczema is a skin condition that causes scaly and itchy rashes, and it can also cause your eyelid to become swollen and itchy. Traditionally, mineral oil is used to treat dry skin. However, studies have shown coconut oil to be more effective than mineral oil for treating dry or itchy skin. Maintaining hydrated skin can improve overall skin health by creating a barrier that helps keep out bacteria and improves healing of scars. That being said, coconut oil can actually be drying for some people, so you’ll just have to test it and see if it works for you. Acne is known as a skin condition that is inflammatory. As we covered above, coconut oil can help reduce inflammation. It also contains medium-chain fatty acids with antibacterial properties. As a result, coconut oil can help remedy acne and provide relief. Related: Coconut Oil For Blepharitis? Tea tree oil is a natural essential oil produced by the leaves of the tea tree. When we say tea tree we are not referring to the commonly used tea plant used to make black and green tea. What Benefits Can Tea Tree Oil Provide? Tea tree oil contains anti-inflammatory and antimicrobial properties. 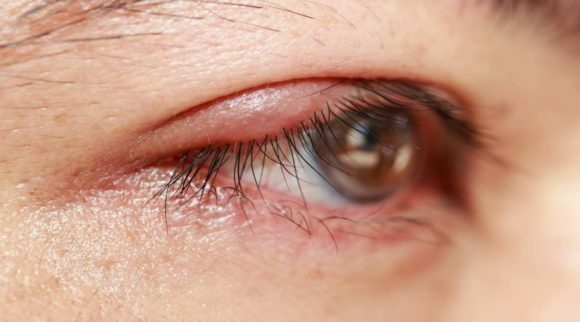 This is why it can help relieve your swollen and itchy eyelids. It’s known for its ability to reduce inflammation, redness, and swelling while soothing skin. Tea tree oil is a natural anti-inflammatory with antiseptic properties similar to coconut oil. 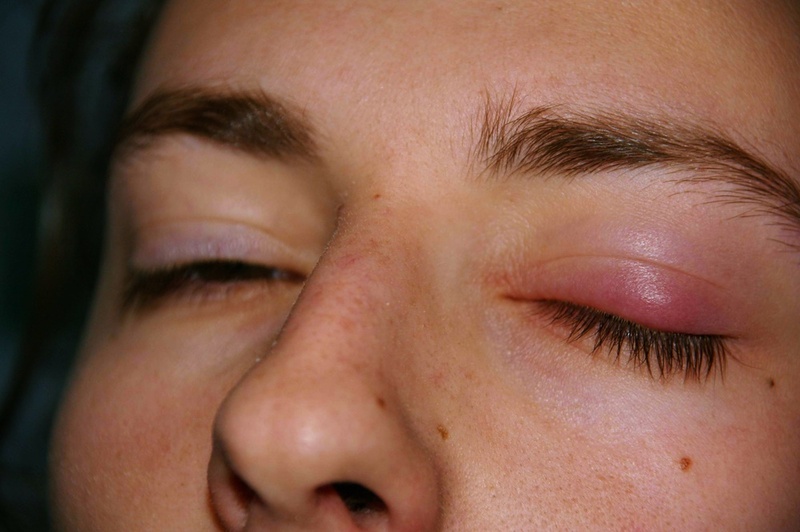 It can help relieve your swollen, red, and itchy eyelid skin. If you have an insect bite or sting it can help provide pain relief, while also neutralizing its poisonous effects. Tea tree oil can be especially beneficial for sensitive skin. Many skincare products contain tea tree oil but it can also be used in a pure form for skin treatment. 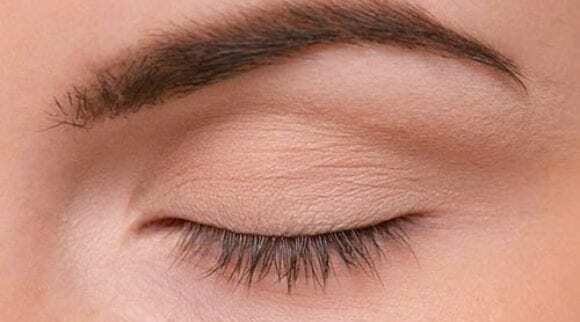 Can Demodex Eyelash Mites Cause This? Yes, demodex eyelash mites can cause red, swollen, or itchy eyelids. 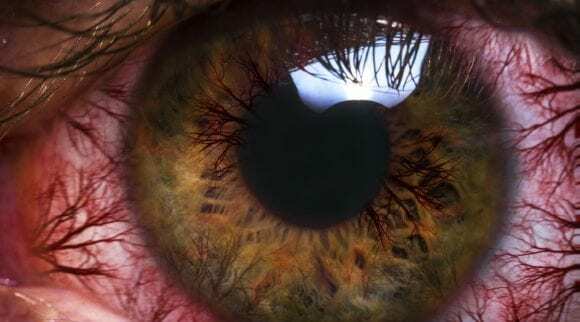 Mites can also cause the condition blepharitis. In simplest terms, demodex eyelash mites are a parasite that can live in your eyelashes. Almost everyone over the age of eighteen has at least some of these parasites on their lashes. Tea tree oil is a powerful natural ingredient found in many products below. It can prevent the reproduction of demodex eyelash mites. Ready to treat your eyelid that is swollen and itchy? The following products can help! Handmade in Newberry, South Carolina using locally sourced natural ingredients is a top-rated soap and eyelid scrub made by Heyedrate. It’s hypoallergenic and naturally fragranced making it safe for even the most sensitive skin. Heyedrate Soap and Eyelid Scrub is an effective remedy for many conditions. It can also be used daily to improve health and hygiene, as well as to treat an eyelid that is swollen and itchy. Heyedrate Soap is composed of all natural and high quality ingredients that can support a wide variety of conditions. Heyedrate pays attention to detail for every bar of handmade soap they sell. They use locally sourced products and ingredients. The quality and effective results hardly reflect such an affordable price tag. 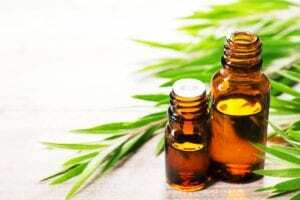 Tea tree oil is a powerful ingredient that can help kill microorganisms, neutralize inflammation, and prevent reproduction of demodex eyelash mites. Heyedrate Soap is organic, 100% vegan, and 100% all natural. It’s handmade with care for your skin to soak up. 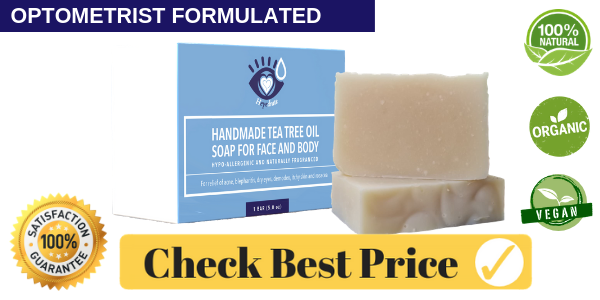 Who Should Use Handmade Tea Tree Oil Soap? For best results you should use it twice a day, preferably morning and night. Heyedrate believes that everyone deserves great vision. They are determined to help others by producing quality eye and skin care products, as well as helping those in need. For every product sold, Heyedrate gives a portion of profits to someone in need of eye care. By using Heyedrate Soap you can rejuvenate your skin while helping someone in need… every one wins! Tea tree oil and coconut oil are featured in this benefit-packed product. These eyelid wipes are proudly made in the USA. At last, you have just discovered cleansing eyelid wipes packed with benefits and natural ingredients for eyelid swollen and itchy. Plus, it is made in the USA. It gets even better when you see the affordable price tag attached. This product is produced in FDA inspected and GMP compliant facilities to ensure quality and consistency. Premium Natural Science Based Eyelid Cleansing Wipes are loaded with essential oils and natural ingredients. Tea tree oil and coconut oil are used in this product to help soothe itchy eyelids. Who Should Use These Cleansing Wipes? These wipes are easy-to-use and their natural ingredients make them a great solution for eyelid care. If you are prone to allergies these wipes can offer a pain or irritation-free way to cleanse your eyelids and surrounding facial areas. Whether you are soothing swollen or itchy eyelids or just wanting to remove the build up around your eyes you should try this product. There are many attractive highlights and benefits for this product. The fact that it’s made in the USA means it’s coming out of FDA inspected and GMP complaint facilities. This helps ensure a consistent and quality product. In addition, each wipe is packaged individually so you can throw one in your bag and use it just about anywhere. Its all-natural ingredients are intended to create a soothing and comforting sensation rather than a burning sensation that can be caused by harsh chemicals in similar products. Searching for an all-natural solution that thoroughly cleans and soothes lashes, eyelids, and your face? If so, you should try Cliradex Natural Eyelid, Eyelash, and Facial Cleansing Towelettes. Cliradex created this product to provide an effective product that’s free of harmful chemicals and preservatives. Doctors often highly recommended Cliradex Cleansing Towelettes to soothe swollen and itchy eyelids. 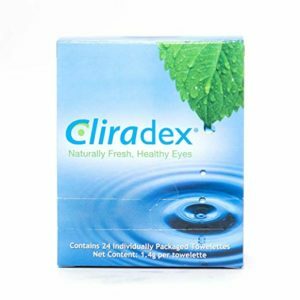 Cliradex Cleansing Towelettes are an affordable remedy for soothing swollen and itchy eyelids or to improve ocular hygiene. One box can last a little more than two weeks. This product works to kill Demodex mites and has anti-inflammatory and miticidal (able to kill mites) qualities. Cliradex uses all-natural ingredients and is free of harmful chemicals and preservatives. Cliradex uses a steam distillation process to capture the most beneficial elements of essential oils. Essential oils are well known for their ability to provide vitality for human life in a natural way. Cliradex Cleansing proudly offers a patented formulation that uses 4-Terpineol. 4-Terpineol is the key ingredient found in tea tree oil. Who should use these cleansing towelettes? If you have allergies to fragrances or essential oils you should avoid using this product. To promote regular cleansing of eyelids, eyelashes, and your face, Cliradex combines all-natural and beneficial ingredients into an easy-to-use cleansing towelette. Before using this product on your eyes or face it’s recommended to wash your hands thoroughly. Once you have clean hands it’s time to refresh and clean your face. Simply tear open the package and unfold the towelette. Keep your eyes closed tightly while you dab or wipe surrounding facial areas. When you are done simply throw your used towelette away and enjoy the fresh clean feeling! 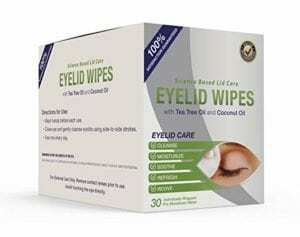 Discover relief for your dry, itchy, or swollen eyelids using these all-natural eyelid wipes sold by Eyecare Naturals. These wipes are easy to use and good for a variety of uses. Similar to some of the other products on our list these wipes use tea tree oil and coconut oil. In addition they are packed with essential oils and made in the USA. 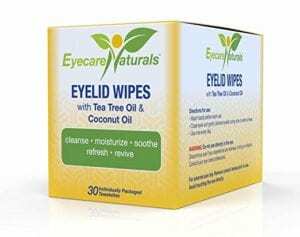 Eyecare Naturals Tea Tree Oil Eyelid Wipes can calm your swollen and itchy eyelids. The price of them will make you take a second look. These wipes are a steal considering the fact they are made from natural and organic ingredients. Plus, they offer so many potential benefits! One box can last about a month if you use them about once a day. Eyecare Naturals Tea Tree Oil Eyelid Wipes rely on all-natural ingredients and is made in the USA. Its trusted formula makes it safe to use daily and provides many health benefits. Two of its main ingredients are powerful tea tree oil and coconut oil. It works to cleanse, moisturize, soothe, refresh, and revive eyes and surrounding facial areas. Who Should Use Eyecare Naturals Tea Tree Oil Eyelid Wipes? Eyecare Naturals Tea Tree Oil Eyelid Wipes can help relax your eyes and reduce eyestrain when used regularly. Eyecare Naturals Tea Tree Oil Eyelid Wipes are an effective way to remove debris and unwanted build up on or around eyelids. 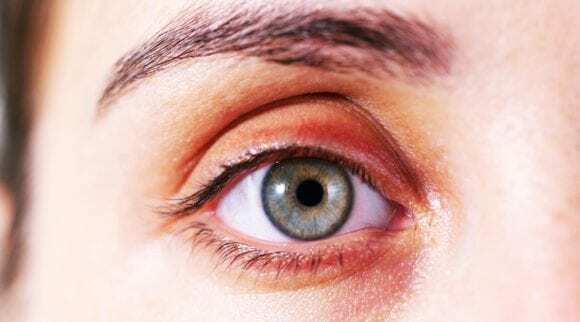 They are commonly used to treat swollen and itchy eyelids. 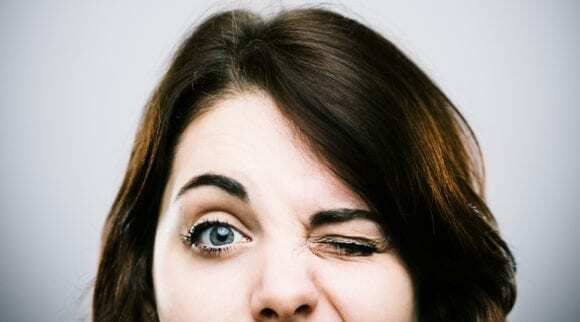 Soothing irritated eyes can often result in more irritated eyes if the wrong remedy is used. 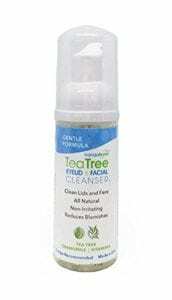 Tea Tree Eyelid and Facial Cleanser uses a natural and gentle formula designed to be non-irritating to the eyes. It’s a foamy wash that can be used to clean eyelid margin, eyelashes, and skin. If you battle dry skin you should try this product. Finding an affordable cleanser that is effective and gentle can be challenging. Luckily, you have just discovered Tea Tree Eyelid and Facial Cleanser. This product delivers quality and effective results while being one of the lowest priced products on our list. Tea Tree Eyelid and Facial Cleanser contains all natural ingredients such as tea tree oil, chamomile, and shea butter. Tea tree oil is a powerful ingredient that is used in many products included in our list. Tea tree also works to manage demodex mites and reduce blemishes. As we mentioned above, this product can be helpful to people battling dry skin. Chamomile and shea butter are intensely moisturizing ingredients that can deeply hydrate skin. 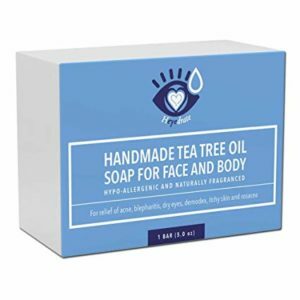 Who Should Use Tea Tree Eyelid and Facial Cleanser? This product appeals to a wide variety of skin types and conditions thanks to its gentle formula, affordable price, and benefits. You can use this cleanser daily to remove your make up and unwanted dirt while hydrating your skin. Its gentle formula is paraben free, gluten free, vegan, and made in the USA. Ensuring your eyes are properly hydrated and lubricated is essential to keeping them healthy and comfortable. 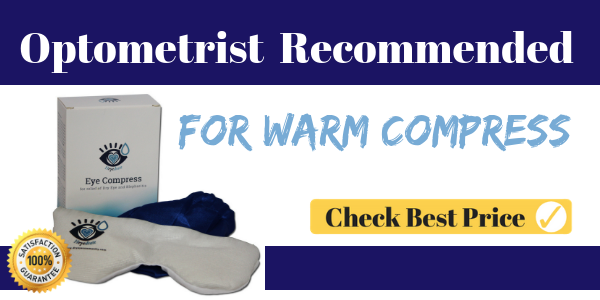 Heyedrate Warm Eye Compress is an easy solution that can provide quick relief for itchy and swollen eyelids. This allows natural oils to flow back into the eye resulting in relief and hydration. 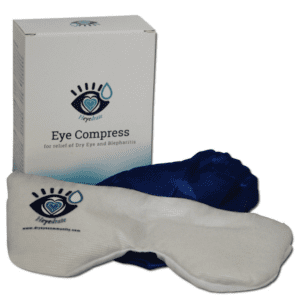 The Heyedrate Eye Compress provides additional benefits and is reusable. Keep reading to learn more. The mask has a reusable design and technology makes it well worth its affordable price. It’s been proven to deliver results and fast relief. When this eye compress is microwaved, the contents absorb water molecules from the air. It then releases these molecules as clean, moist heat. Who Should Use This Heated Eye Compress? Heyedrate Eye Compress can help stabilize the tear film, improve oil gland function, and slow tear evaporation. In addition to being reusable, it’s also safe for frequent use. Our eyes are valuable and it’s very important to care for them. In our technology filled world many of us spend a majority of our day looking at digital devices. 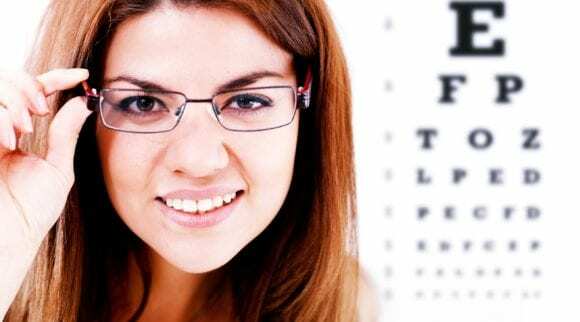 Investing time and a little money into ensuring your eyes are hydrated can improve your overall health. This compress is easy to use and can be prescribed by your doctor or ordered online. The Swissokolab Under Eye Mask can help swollen and itchy eyelids thanks to its anti-inflammatory properties. In addition, it can help naturally expel harmful toxins and increase blood circulation while adding freshness and shine to dull skin. Using this under eye mask can be a highly effective skin care treatment that can provide many benefits. This luxury and professional undereye mask is beneficial, affordable, and can improve the health and appearance of your skin. It works to quickly hydrate and treat skin. 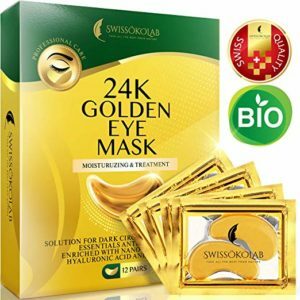 If you are looking for more cosmetic benefits rather than relief from irritating conditions, you should try Swissokolab Under Eye Mask. Who Should Use Swissokolab Under Eye Mask? Its anti-aging effect stimulates cellular regeneration and reduces swelling around eyes while hydrating and moisturizing skin. Plus, it uses an anti-wrinkle formula to help smooth and rejuvenate your eye area. Defying age is priceless for most of us. Using this affordable and quality under eye mask can help restore and hydrate tired eyes using an anti-aging and anti-wrinkle effect. This product works to naturally deliver long-lasting hydration and results. Restless nights and tired eyes can result in a lower quality of life, along with less energy to devote to your career and loved ones. So, what’s causing your restless nights or tired eyes? Is it headaches? Eye strain? Sinus pain? Post surgery pain? 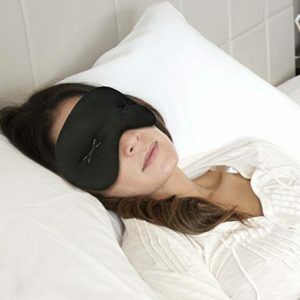 IMAK Compression Pain Relief Mask and Eye Pillow can provide relief and improve sleep for all of the above conditions, and then some. It’s a comfortable and patented eye pillow that conforms to your face and eyes while blocking out light and reducing pain and discomfort. IMAK Compression Pain Relief Mask and Eye Pillow is slightly less expensive than some of the other masks on the market. In addition, it’s washable and reusable, similar to Heyedrate Eye Compress. IMAK Compression Pain Relief Mask and Eye Pillow is created using a breathable and comfortable cotton material on the exterior. The interior of the eye pillow contains smooth ErgoBeads that create a relaxing and gentle massaging effect around your eyes. The ErgoBeads help soothe tired and puffy eyes. Are you sleepy just thinking about this luxurious eye pillow? Just wait until you get to try it. 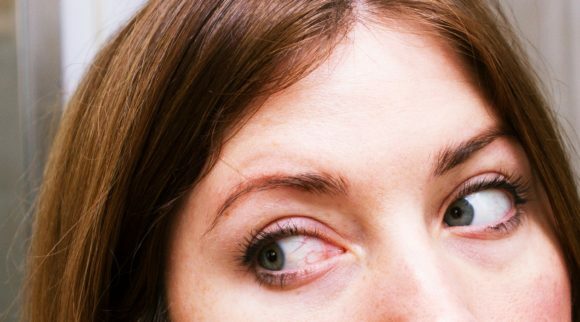 Say goodbye to eyelid swollen and itchy! Who Should Use This Mask and Eye Pillow? If you are trying to remedy swollen and itchy eyelids this eye pillow can provide relief, especially if you use it after storing it in the freezer. It’s probably not the best remedy for lasting results, although it’s great for short-term relief. Store this eye pillow in the freezer before you use it to enjoy added stress relief and a cooling sensation. Ice or gel packs can cause a harsh shock. IMAK Compression Pain Relief Mask and Pillow can provide a gentle cooling effect without the shock. Hopefully you discovered a product than can provide benefits and relieve your eyelid, swollen and itchy as it may be. If you’re experiencing pretty severe swelling or your condition gets worse, you should see a doctor. Severe swelling can be highly irritating and difficult to treat. It’s extremely important to get swelling under control in a timely manner to avoid damage.